Hi neighbors! I’m so excited to be back at Quartyard curating your draft list and hanging out behind the bar (except when I’m saying hi to your dog) for all your beverage needs. 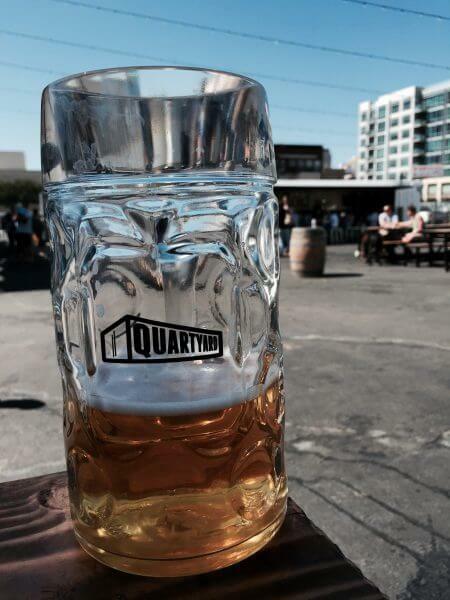 Pretty much a part of Quartyard since the beginning, I take great pride in the concept and am thrilled to make some new memories with all of you. During the closure, I was traveling around the country working the music festival scene and can’t wait to share with you some GREAT beer finds I had the pleasure of coming across. Along with some new goods, you’ll see plenty of our favorite local breweries which we will absolutely continue to support here at Quartyard. 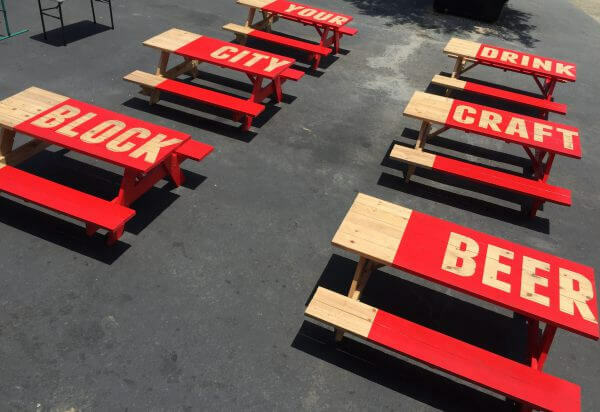 We have been hard at work building #YourCityBlock and we can’t wait to serve you some cold ones. As they say, all work and no play make Jack a dull boy… so let’s drink. 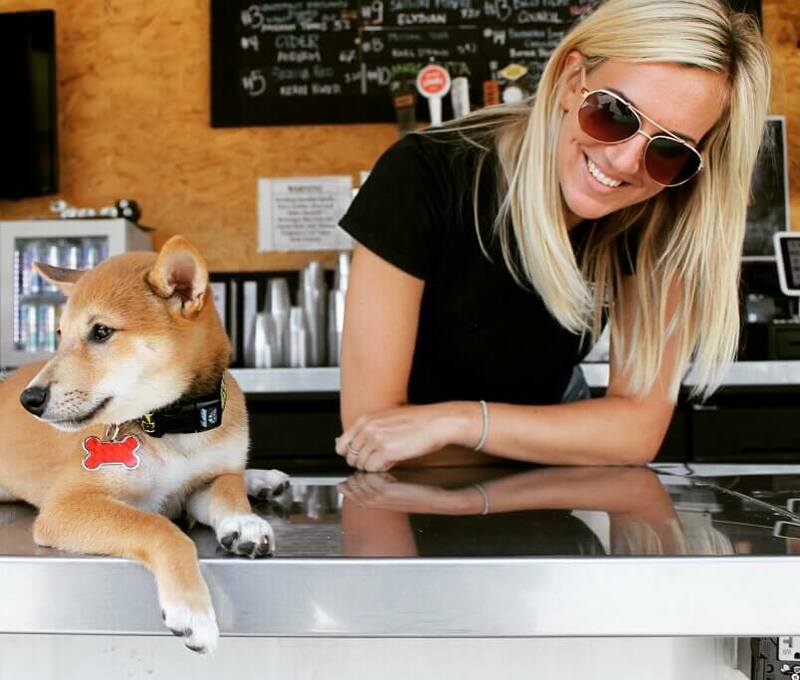 It’s the beginning of Spring and that means longer days of sunshine, Padres home games, dog meetups and glorious BEER. It’s April in San Diego..need we say more? Baseball is back! Although Spring gets us excited for so many special release beers in general, there is one beer that sets the tone for everything, our beloved .394 San Diego Pale Ale. This hoppy pale is loved by all and definitely a staple on the tap list. For ALL Padres home games you can find .394 on tap here at Quartyard. See you for pre and post game! There’s no denying the continuation of the Mexican style lager boom happening in SD. We will be having a dedicated line to craft lagers and are currently loving Mason Ale Works Respeto. In fact we blew threw our kegs by 2pm on our first official day of business Sunday.. So apparently you are too! Respeto will be back for the grand opening party have no fear. You’ll see packaged Lagers as well, keep a lookout on our display self! AKA “the best damn DIPA in the world”. East Village get excited because Melvin Brewing (Alpine, Wyoming) will be opening a brew pub this summer right in our hood. We wanted to introduce them to you with a bang with this absolutely delicious DIPA. This is a MUST drink beer for our party on the 13th! Good news! We are upping our libation game for our cocktail lovers out there. A new cocktail list will be debuted the week of the grand opening party. Although our house craft on draft moscow mule isn’t new, it’s absolutely coming back with the new location. Refreshing with an extra kick, thanks to Top Hat ginger beer, this crushable vodka based mule is topped with bitters, fresh mint and lime. Classic mule indeed, but why leave a good time to find a good time!? Be sure to grab your ticket to #YourCityBlocks grand opening event on Friday April 13th!